Thanks To Mr Llandudno & Co…..
A case of WORDS speaking louder than ACTIONS! A great supporter and co-author/regular contributor to the troll blog ‘Thoughts of Oscar’. 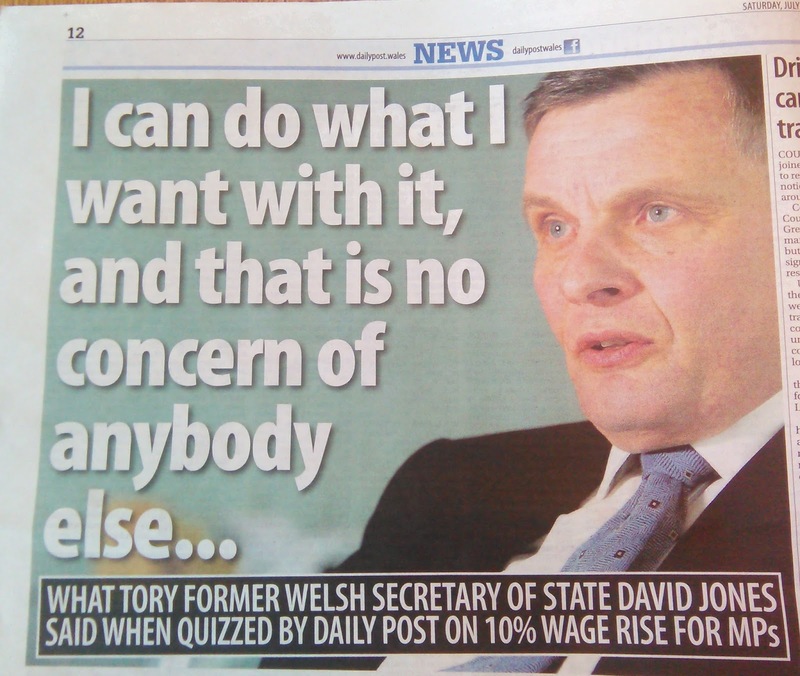 Except Mr Jones, that you were elected by the people, to serve the people, not to feather your nest with the odd £81,000 here and there! Mr Fish is astounded that the good folks at the Daily Post *waves at Jez & Tom* actually quizzed David Jones, they’re usually too busy basking in the sunshine that shines from his saggy arse or cowering in the corner when he threatens to instruct Carter Ruck to sue! ← Previous Previous post: More From The Archives Of ‘Thoughts Of Oscar’…..
Next → Next post: Sent In By A Reader…..